I would like to take a moment to apologize for not posting as frequently recently. Many of you might know that I am pregnant and expecting my first child in early August. Realizing that her due date is getting closer and closer my house has been in quite the upheaval with projects to complete before baby arrives! I promise to start posting regularly again. The front of the desk incorporates a bookcase, I call it my ode to Dexter if you are familiar with his apartment on the show. You can see the front of the desk shown in Dexter’s apartment, similar to mine. The back of my desk showing the floating top. Oh so pretty! Mid-Century Period and Designers: This is only the tip of a big iceberg so please keep exploring! 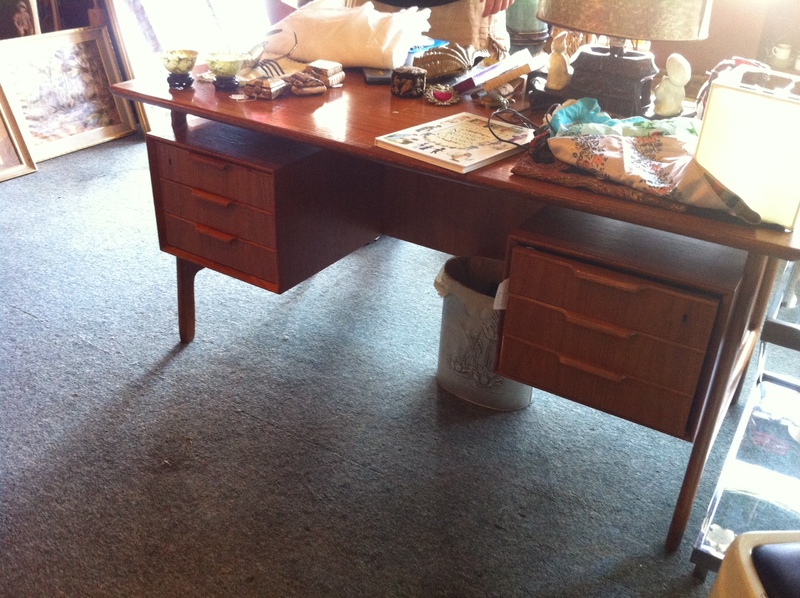 1 Response to "Sorry for Lack of Postings…"
Fantastic looking desk and I LOVE Dexter’s apartment………………….. 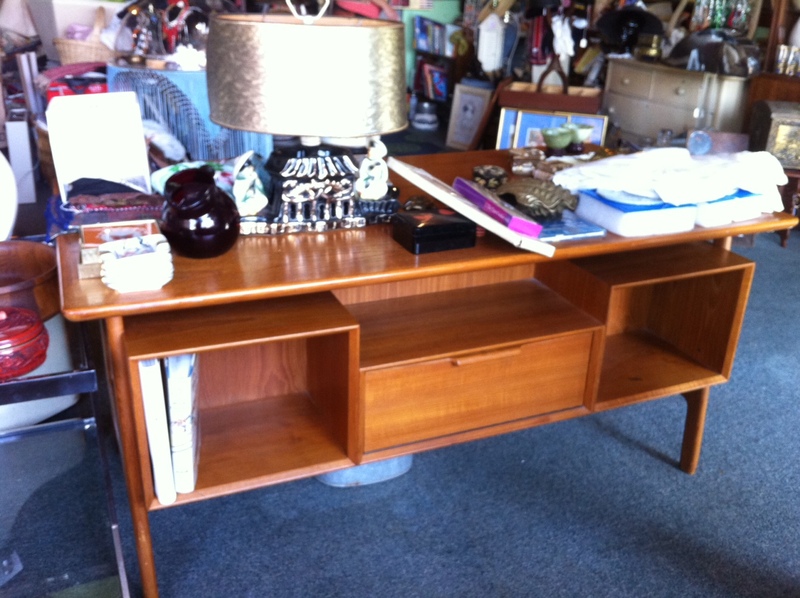 I bought a MCM credenza that was torn to shreds for $14.99 @Goodwill and it looks great now after refurbishing it.